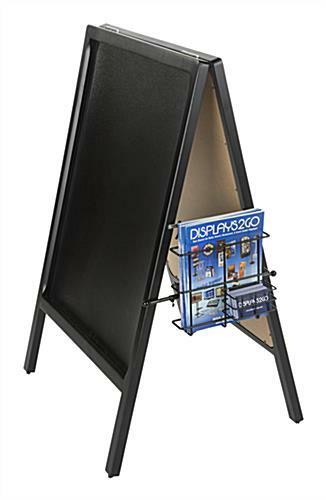 This A-frame sign accessory is the perfect add on for sidewalk signage frames. 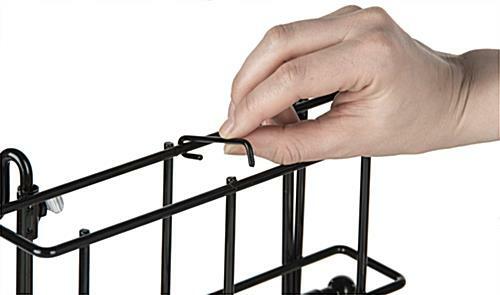 Each sturdy black brochure holder is made from steel wire with an adjustable hanging bar that attaches easily to frame hinges. 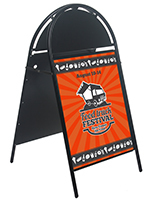 Each high visibility sign accessory is designed to hold takeaway literature and business cards. 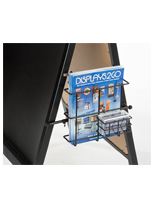 The adjustable rack comes with a sliding divider that adjusts for pamphlet or catalog-size literature. 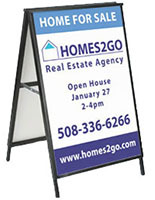 Each high visibility sign accessory is compatible with sandwich boards that have a minimum 7" hinge. 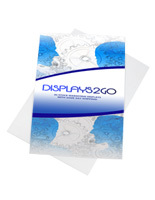 This black wire sidewalk signage accessory is perfect for use in high traffic areas indoors and outdoors. 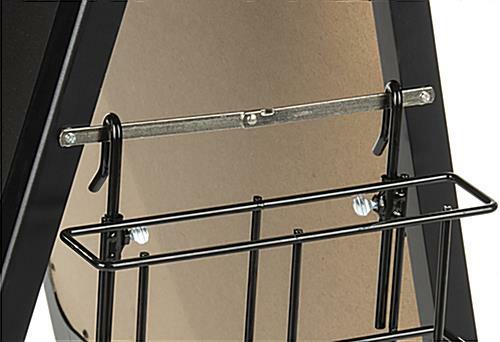 Please note: Sign hinge must open at least 7". 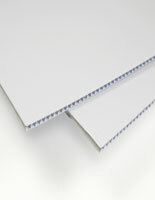 17.4" x 13.0" x 5.1"
Width Range Min. x Max. 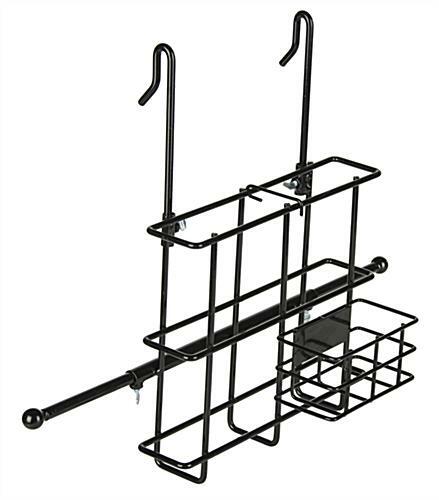 4.1" x 2.3" x 2.0"
9.0" x 8.0" x 1.8"